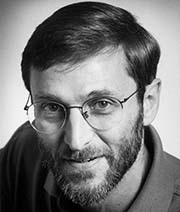 Scott Shenker is a professor in the Electrical Engineering and Computer Sciences Department at UC Berkeley. He is also the chief scientist at ICSI, where he was a founding member of the ICSI Center for Internet Research. He received his doctorate in physics in 1983 from the University of Chicago, and was later awarded an honorary doctorate from the same university in recognition of his contributions to Internet architecture. Along with Martin Casado and Nick McKeown, he has been a leader in the movement toward Software-Defined Networking. In terms of commercial activities, he was co-founder (with Casado and McKeown), founding CEO, and chief scientist of Nicira. He is also a founder and board member of Databricks, and a founder of Nefeli Networks. Visit Scott Shenker's Web site.